While it might seem that services for rodent control in Toronto are all the same, there are distinct differences. This is why when you need professional rodent control you should start by knowing what to look for in a company. Rather than go off claims made by a rodent exterminator, do your homework before making a decision. When searching for the best rodent control in Toronto, consider experience. A company that has been ridding homeowners of various pests for years is likely to have more experience than a brand-new company. To check on this, visit the company’s website to read the About Us statement. You can also look at other sites and conduct Google searches. 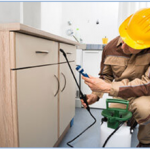 In looking for reputable rodent services, you will find that charges cover a broad range. Although the cost is not necessarily the most important factor, it is something important to consider. Even well-qualified companies that provide rodent pest control services are often priced competitively. Typically, the best thing to look for is a company that will come to your home for a consultation. During the visit, the expert should perform an assessment of your situation, provide a detailed plan, and give you a firm price before you agree to any work. You want to consider the method used by different companies. For example, some companies use highly toxic chemicals for rodent control that pose a risk to humans and family pets. Therefore, when finding the best rodent exterminator, you want a company that offers an environmentally friendly, safe, nontoxic, and sustainable solution. Not only is the problem eliminated, you never have to worry about safety of your family and pets. A company’s reputation is another important factor. By checking online forums, the Better Business Bureau, and other sources, you will gain insight into the experience that other customers had with a particular company. As part of this, be sure the company you hire uses certified and/or licensed professionals. Any company that you are considering for rodent control in Toronto should provide a solid guarantee. Just like cost, guarantees vary. For the best guarantee, look for a company that stands behind the work it performs. At Pestico Canada Inc., we are confident that we will meet, if not exceed, your expectations. If you need professional services for rodent control in Toronto, we are here to answer questions and set up an appointment to come to your home.